The St. Vincent de Paul Society is an international organization with a local chapter in St. Theresa Parish. Clients contact the society for assistance. Parishioners who are members of the St. Vincent de Paul Society visit the clients in their homes and provide spiritual as well as practical help. Vincentians provide support for rent, motels, and utilities to prevent individuals from becoming homeless. 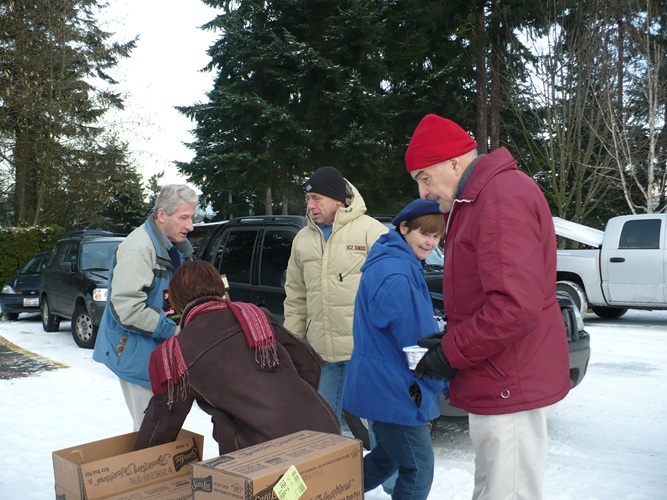 They also provide vouchers for food (Safeway), gas (Northshore 76), and merchandise at the SVDP Thrift Stores, and distribute food and household items donated by St. Theresa parishioners. 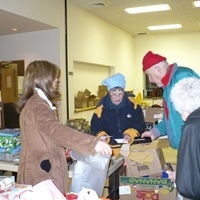 Funds are provided through generous cash donations from parishioners and from the resale of items donated to the St. Vincent de Paul Society thrift store. 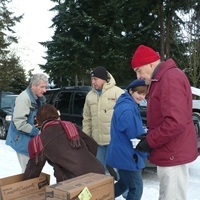 The society also receives grant money from local organizations such as the City of Federal Way. Clients request help by calling the district office, which then contacts the appropriate local chapter. If you need help, please call the district office at 206-767-6449, 8 AM - 3 PM Monday-Friday. The parish office is separate from the St. Vincent de Paul Society and does not have funds to provide assistance. Volunteer to visit clients - Members work in pairs to visit clients in the clients' homes. Members take calls as their time allows--typically one or two calls per week. The St. Vincent de Paul Society meets on the second and fourth Thursday of every month at 7:30 PM at the main Church. Donate - Bring donations of personal care items, nonparishable food, and household products such as paper towels to any of the weekend Masses. Bring clean, wearable clothing and shoes to church for donation on the second weekend of alternate months, beginning in January. Just bring your items to Mass. You can also leave donations in the clearly marked bins for St. Vincent de Paul Society. 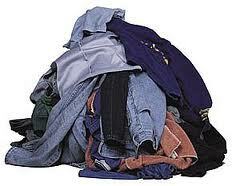 Your donations stock the five St. Vincent de Paul Society Thrift Stores. Profits from the store are returned to local chapters to assist the needy in their communities. Over 90 cents of every dollar donated goes to programs. 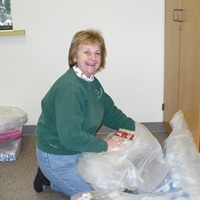 Society members package and deliver holiday meals and gifts, which are provided by St. Theresa parishioners.